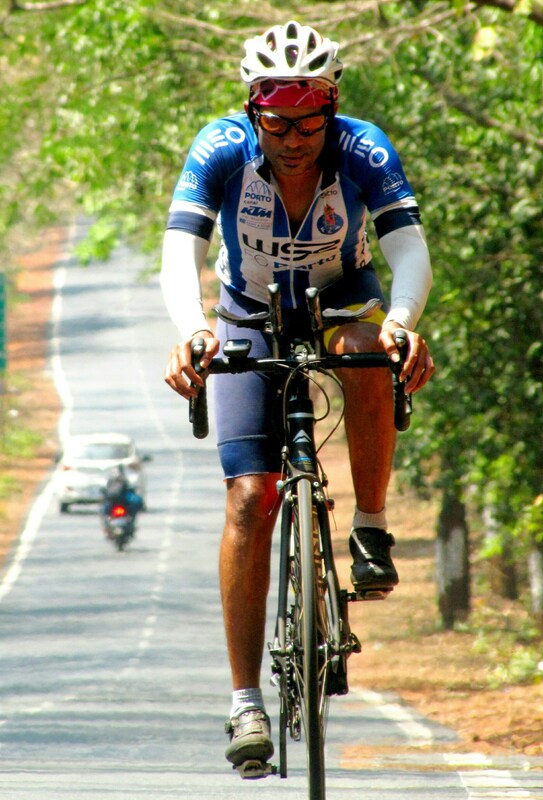 Sundaram Narayanan is the sole participant from India at the 2018 edition of Race Across America (RAAM), which commences at Oceanside, California on June 12. The cyclist from Goa will be racing in the solo category. RAAM is a 4800 kilometer-long ultramarathon bicycle race that traverses the United States from its west coast to the east. Across RAAM and the shorter Race Across West (RAW), three Indians had registered to participate in 2018. As per indications on Wednesday, June 6 (with less than a week left for commencement of race), Sundaram alone remained in the fray. He was already in the US. Last year Lt Col Srinivas Gokulnath had become the first Indian to complete RAAM solo. He was followed by Dr Amit Samarth. Sundaram had been part of the support crew for Srinivas Gokulnath in 2017 (for more on Srinivas Gokulnath please click on this link: https://shyamgopan.com/2017/08/25/after-raam-there-is-race/). Crewing is widely advised as means to familiarize oneself with demanding endurance races like RAAM. Many racers crew before they get down to attempting the race themselves. Sundaram’s team – registered under the name Team Sundaraam – has nine members, all of them passionate about cycling. They include Dr Pankaj Mhatre who is the crew chief, Vinod Pai, Rick Zwestch, Ajay Dongre, Raghav Gowda, Rutvik Khare, Chakravarthy Birur, Venkatesh Shivarama, Dhanasekhara and Niranjan Upasani. Five of them have previous RAAM experience. Family members of solo racers have often featured as part of support crew. Sundaram’s wife Harshal, who is a nutritionist, will be joining the crew, Dr Pankaj Mhatre said. Participating in RAAM is an expensive affair. Sundaram was supposed to participate in the race in 2017 but could not due to insufficient funds. His team then decided to have him crew and gain experience. According to Dr Mhatre, Sundaram got into serious cycling some time in 2012. At that time, like many in India, he used a basic mountain bike. His interest in road biking grew by leaps and bounds. He achieved multiple Super Randonneur titles, was attracted to RAAM and qualified for the race twice. His RAAM project has been on since 2015. A medical physicist by profession, Sundaram has been in Goa since 2012. For RAAM, Sundaram will be using two bikes and three wheel-sets. To ride, he will have at his disposal a Merida Scultura 5000 and a Merida Scultura 4000, upgraded to Ultegra group-set. The 2018 RAAM begins on June 12 and ends on June 24. Christoph Strasser of Austria, who won last year’s RAAM, is registered to participate this year too (for a report on his win last year please click on this link: https://shyamgopan.com/2017/06/22/raam-christoph-strasser-wins-again-amit-and-srinivas-are-past-the-2250-mile-mark/). In October 2017, Strasser – he is a four time winner of RAAM and holds the record for the fastest time – was in the news for smashing the 24 hour-track cycling record; he rode 941.873 kilometers in 24 hours at a velodrome in Grenchen, Switzerland. According to news reports, he completed 3767 laps of the 250 meter-track at an average speed of 39.42 kilometers per hour.